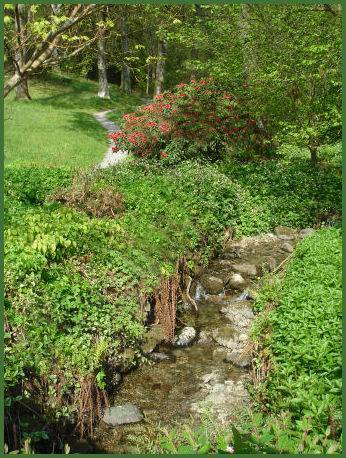 Stagshaw Gardens, situated south of the town of Ambleside, cover around 8 acres and offers stunning views over Lake Windermere. 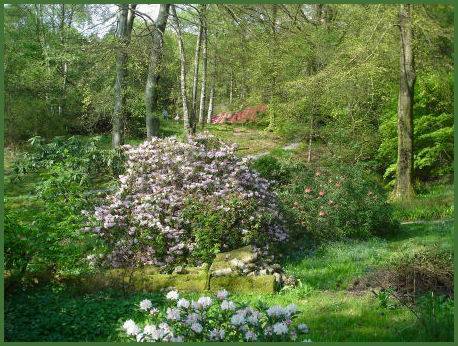 The gardens were created by Cubby Acland, who was employed as a regional agent for the National Trust until his retirement in 1973. 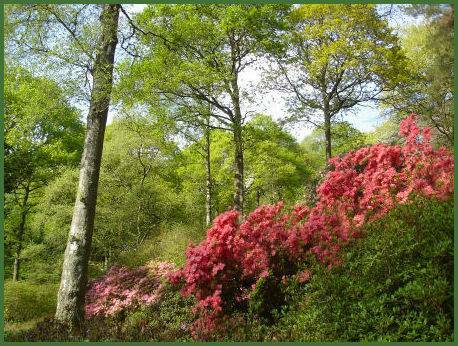 The gardens host a superb collection of rhododendrons, azaleas, magnolias, ericacious trees and camelias and are particularly beautiful in spring, when they are awash with a carpet of bluebells. 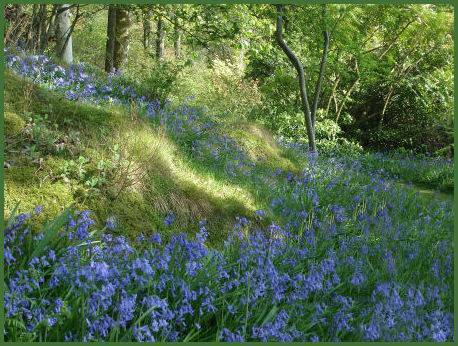 About half of the area occupies a steep hillside, riven by ridges, and boast a a pretty woodland beck with small waterfalls, which cascades down the fellside. 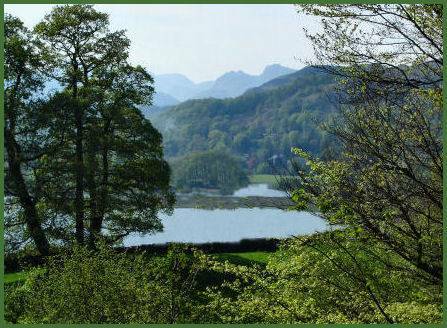 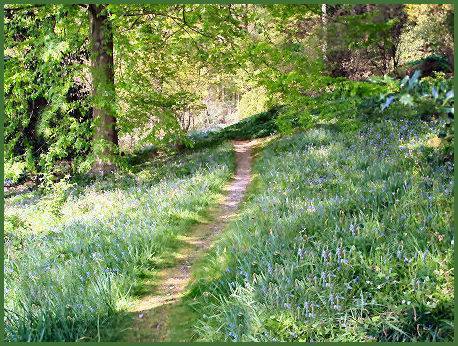 The adjacent Skelghyll Woods offer some excellent walks and access to the fells beyond.